Indigo Blues | Come find all your favorite people. January 15th – Lesson: Cierra Ruffin from Denver – Solo Blues; LIVE MUSIC with Dante Zapata; click here for more information. Posted in Uncategorized on January 7, 2016 by indigobluesdance. Welcome to Indigo’s year of the phoenix. Join us as we move from the basement ballroom at the Masonic Temple to our new home lofted above the streets of Old Town! Join the renaissance of Indigo Blues. Bring your favorite socks (no outside shoes allowed on the floor!). Bonus points if you come decked out in flaming phoenix colors. Lesson on Connecting to your Partner and the Music from Ruth. Melty, molten fusion blues sets provided by Julia and Darlington. These cool cats have music that is slow, hot and sweaty… and we dance to them in our dance halls all the time! Let’s get out and show them some visual expression of their sound! Join us for dinner before the show at Old Chicago starting around 6pm. Doors for the show start at 7pm. This week’s dance is going to be epic! We have Kara Fabina coming up from Colorado Springs to teach a lesson on Funk Styles: Cross-training is useful to push past any learning plateaus or create your own style of movement. Kara will be sharing her love of funk styles, such as locking, hip hop, and popping movements. She’ll help you bring out your inner dance freak. Kara Fabina is an international dance instructor based in Colorado Springs. Since 2008 she has been teaching and competing jazz, swing and blues throughout the world. Having been dancing for almost two decades, Kara brings both knowledge and experience to the dance floor. She has been recognized internationally for her choreography as well as her achievements in competitions. 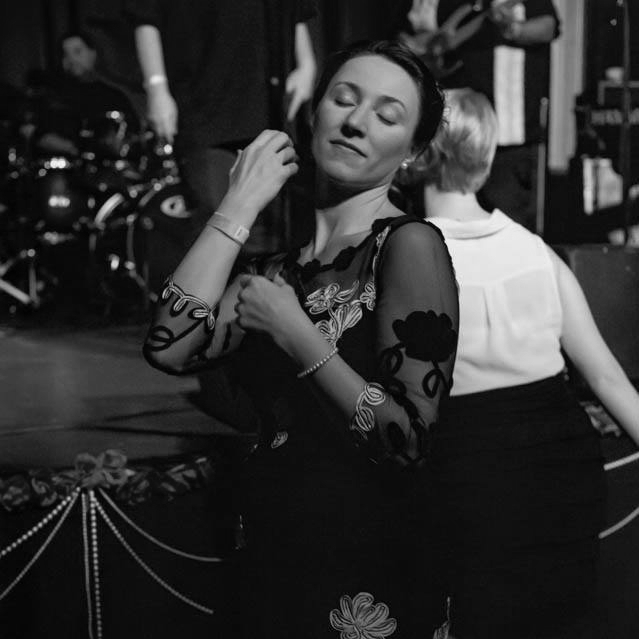 As an instructor, she stresses connection with one’s partner, connection to the music, and intention in dancing. Her real passion is to become a dance historian and study each style’s rich history and culture. Following the Lesson, Kara will be trading off sets with our house DJ, Julia, in both blues and fusion. It’s not a night to be missed and, as always, the dance is only $5! If you want to get into the dance for FREE you can sign up to volunteer at the door. Email fortcollinsblues@gmail.com for more information. Going on now through the end of December, each time you volunteer to work the door, set up, or take down, your name will be entered into our sweepstakes. The drawing will be held at our first dance in 2016. Brenda is fulfilling her childhood dream as a professional dancer and instructor. Brenda’s early dance training included about 30 dance styles. She has also studied musical history and theory, dance history, dance instruction, several physical health methods, and other related subjects adding to her knowledge of the body, dance, music, and teaching. Brenda continues to study and train with coaches, historians, and practitioners, always striving to increase her understanding and ability.Brenda has put the majority of her focus over the past many years into the Lindy Hop, Balboa, Blues, West Coast Swing, and Salsa communities. She believes we are all born with dance in our bodies, and that each of us can use this activity as a means for personal expression, connecting with others, and exercise. Brenda loves the image of being able to dance anytime, anywhere, to any music, alone, or with anyone. She spends her time living this dream for herself while assisting her students in accomplishing their personal dance goals. Let’s get back to the roots of blues and find out where this amazing dance form came from. Join us in February for classes focusing on African Roots movements, traditional blues, and the culture and history of blues dancing. We will be featuring special instructors every Friday to broaden your knowledge of blues dancing and teach you some very specific movements you can add to your dance vocabulary. Join us at the Empire Grange this week as the Masonic Temple is under renovation. Bring your dance back to the roots of blues by exploring African drum beats, body shapes and story lines through our movements. We’ll be back at the Masonic Temple with a Noir-themed Valentine’s dance. Bring your fancy fedoras, cigarette holders, moustaches, and vintage attire for a night of sneaky backroom deals and tomfoolery. 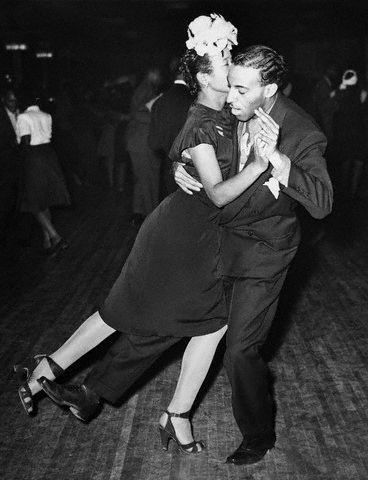 Take a journey with Joe DeMers through the evolution of Blues music and dancing. We’ll start with Juba, move to Gospel, Delta Blues, Urban Jazz, and other forms. Learn different steps and rhythm patterns to dance each type.